Dunaway announced today the hire of Chris Vadala as its Corporate Development Executive, reaffirming its commitment to growing regionally in Texas. 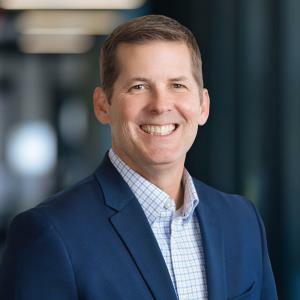 AUSTIIN, TX, USA, March 13, 2019 /EINPresswire.com/ -- Dunaway1 announced today the hire of Chris Vadala as its Corporate Development Executive, reaffirming its commitment to growing regionally in Texas. Vadala, previously a Senior Vice President at Bury, Inc., brings more than 20 years of experience to the leadership team at Dunaway. He will participate in corporate strategy while leading all of its business development initiatives statewide. For Dunaway’s part, the fact that Ross Eubanks, Vice President of Dunaway, has known Vadala for years, was an important factor. “Chris and I have been friends for over a decade and have discussed ways in which we could bring his proven leadership to Dunaway. Now it’s a reality,” said Eubanks. “That leadership is known throughout our industry, especially when it comes to his ethical professionalism and knowledge as it relates to both horizontal and vertical construction. We believe he will be a difference-maker for Dunaway, by helping us serve our existing clients and drive growth into new markets around the state. Dunaway is a professional services company that has been delivering exemplary results to its clients for more than 60 years. Its success stems from the priority its professionals place on forging long-term relationships with its clients. Dunaway, with offices in Fort Worth, Austin, Midland, and San Antonio, has cultivated that successful formula by providing the capability of a big firm with the personalized approach of a smaller one. With a staff of 200 employees, Dunaway provides a range of services, including civil engineering, structural engineering, planning and landscape architecture, environmental engineering, surveying, and GIS services. Its goal is to provide clients with the best possible expertise and service as well as commit the resources necessary to ensure the success of each project.